With over 10 year experience in insurance broking at two international broking organisations. Sammie specialises in Commercial Insurance, Professional Indemnity, and other Liability line insurances. Sammie has immigrated to New Zealand 20 years ago, she is an enthusiastic, client-driven broker and she speaks fluent English, Cantonese and Mandarin. With the growing Asian population in NZ, Sammie’s passion extends to assist clients who speak Chinese with hassle-free insurance advice and services to protect their business assets and interests in NZ. 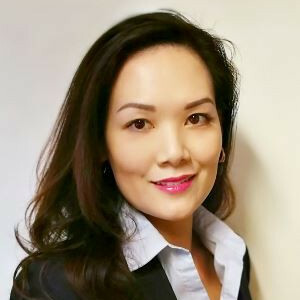 Her objective is to raise the awareness about importance of insurance in the Asian community and to deliver different concepts about insurance. Before becoming an insurance broker, Sammie had an extensive customer service experience with Qantas Airline, SkyCity Auckland & HSBC Banking Corporation. These organizations provided her with opportunities to meet people from all walks of life. Her passion for delivering excellent client service and put the clients’ interest at heart that leads her to a top achiever in her career.